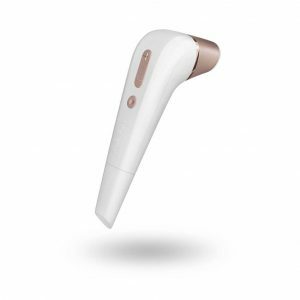 This cute design by the makers of the extremely popular, Satisfyer Pro 2, offers the same pressure wave technology featured throughout their range, in a cute, handy design. The Satisfyer Penguin fits comfortably in the palm of your hand with simple controls at the base, allowing you to easily change speeds. The curved head and precision tip creates never-experienced-before climaxes with 11 different programs. USB charging cable included.